In the previous lesson, Mormonism, I: Authority, we examined the supposed scriptures of the Mormons. Let us now examine their attitudes toward the received Scriptures, the Old and New Testaments. This is the explicit statement that is seen more implicitly in many of the statements of Smith, declaring that he had received revelations concerning the “true interpretation” of the Scriptures, many of which we will examine below. It is true that some meaning is lost in translating a work; however, there are plenty of ways to determine the meaning of the text. The Greek language is much more specific in its usage than English; further, we possess the ability to know the different meanings for various words, and we can examine the words in context in Scripture to determine the best meaning. Concerning the text of the New Testament itself, there are many sources that can be used to prove that the text we possess today is highly accurate, and we can rest assured that the New Testament we use today is very similar to the one written by the Christians of the first century1. Therefore, there is no reason to add a disclaimer to our belief in the Scriptures, that they are the word of God “as far as [they are] translated correctly.” We have every reason to trust the Scriptures as our source of the truth of God. Attempting to discredit the transmission of the Scriptures is extremely reckless, especially considering the wealth of attestation we now possess for the New Testament, dating as far back as 175 CE. It is also not inappropriate to mention that The Book of Mormon and other LDS scriptures, which Mormons claim to be “perfect” and without such difficulties, cannot be verified. The LDS church does not even claim that Joseph Smith wrote down actual translations of his sources; instead, it is claimed that he wrote down whatever he was inspired to write down when looking upon them. There is far greater reason to cast doubt on the LDS “scriptures” than upon the Old and New Testaments. The LDS Church has developed the doctrine of eternal progression to describe the life of man. In this system, a man’s spirit exists, develops, and takes on the form of a man to gain earthly experiences; those who are exalted are able to develop into immortality and equality with God2. There are many aspects to this doctrine involving the nature of God, our relationship with Jesus, and the nature of our existence. Let us now examine the points of this doctrine in order to see if it is in conformity to the Scriptures. The Father has a body of flesh and bones as tangible as man’s; the Son also; but the Holy Ghost has not a body of flesh and bones, but is a personage of Spirit. Were it not so, the Holy Ghost could not dwell with us. Are these teachings compatible with the Scriptures? We could also examine Hosea 11:9 to see that God is most assuredly not a man. It is evident, then, that those individuals in the Old Testament perhaps saw a manifestation of God in some way, but not God Himself. To this, sometimes Mormons will simply deny the validity of John 1:18 or try to emphasize the “anthropomorphic” Scriptures against statements indicating that God is not a man. Such attempts to create conflict within the Word of God should be assiduously avoided (Psalm 119:160). And they (the Gods) said: Let there be light, and there was light. And they (the Gods) comprehended the light, for it was bright, and they divided the light, or caused it to be divided, from the darkness. Man was also in the beginning with God. Intelligence, or the light of truth, was not ceated or made, nor indeed can be. Do the Scriptures teach that there were gods, some before God the Father, and that man existed in the beginning with God? For I, the LORD, change not; therefore ye, O sons of Jacob, are not consumed. It is evident that man is a created being; therefore, he could not have possibly been present at creation. God’s nature is not changed. How can Smith thus assert that God “became” as such through exaltation or that other gods exist? How can man, a creation, be present in creation? These ideas are inconsistent with the Scriptures. You ask the learned doctors why they say the world was made out of nothing; and they will answer, “Doesn’t the Bible say He created the world?” And they infer, from the word create, that it must have been made out of nothing. Now, the word create came from the baurau which does not mean to create out of nothing; it means to organize; the same as a man would organize materials and build a ship. Hence, we infer that God had materials to organize the world out of chaos — chaotic matter, which is element, and in which dwells all the glory. Element had an existence from the time he had. The pure principles of element are principles which can never be destroyed; they may be organized and re-organized, but not destroyed. They had no beginning, and can have no end5. By the word of the LORD were the heavens made, And all the host of them by the breath of his mouth…For he spake, and it was done; He commanded, and it stood fast. How then can we say that God did not create, but merely organized, when He says clearly that He has created the heavens and the earth? …the same power, the same glory and the same exaltation, until you arrive at the station of a God, and ascend the throne of eternal power, the same as those who have gone before6. Therefore, Smith determines that we will be equal heirs with Christ. Do the Scriptures support this conclusion? The Spirit himself beareth witness with our spirit, that we are children of God: and if children, then heirs; heirs of God, and joint-heirs with Christ; if so be that we suffer with him, that we may be also glorified with him. This is also seen in Galatians 3:26-29 and 4:1-7. Yet the question remains: does being a joint heir with Christ necessitate that we will be equal heirs with Christ? The text does not support this conclusion. For example, if my grandparents die and they will my father $100,000 and me $20, we are both heirs of my grandparents, and could be rightly called “joint heirs.” Yet we are by no means equal heirs of my grandparents. The situation is similar with our relationship to Christ. Jesus Christ is called the “firstborn from the dead” in Revelation 1:5, and in this sense, we are equal heirs in Christ: we all will receive resurrection from the dead by the power of God and we will all be granted eternal life. We see in Ephesians 5:23-29, however, that Christ is the head of the church, the body of Christ, and that since we are members of that body, we are subject to Him. In this sense we are not joint heirs with Christ, for He is the one who has been granted the authority over heaven and earth (cf. Matthew 28:18-20), and not ourselves. Therefore, the determination that “joint heirs” means “equal heirs” is not made evident in the Scriptures, and we have seen that the opposite is in fact the case. As man now is, God once was: As God is, man may be7. …and shall be of full force when they are out of the world; and they shall pass by the angels, and the gods, which are set there, to their exaltation and glory in all things, as hath been sealed upon their heads, which glory shall be a fulness and a continuation of the seeds forever and ever. Then shall they be gods, because they have no end; therefore shall they be from everlasting to everlasting, because they continue; then they shall be above all, because all things are subject to them. Then shall they be gods, because they have all power, and the angels are subject to them. The concept of exaltation runs through this theology, for it is the idea that a man, through his righteousness and obedience to God, shall be exalted to godhood (cf. D&C 76:50-60). Do the Scriptures teach that man can become as a god? The LDS church will often point to the Eastern Orthodoxy’s concept of theosis as a justification for their belief system, for, as we have seen in Eastern Orthodoxy: Theosis, the Orthodox also have the belief that man can reach a level of godhood. The Eastern Orthodox, however, by no means believe that the Father was once a man nor do they accept the concept of eternal progression. Arise, O God, judge the earth; For thou shalt inherit all the nations. Therefore, Jesus’ usage of this passage in John 10:33-36 is made evident: the Jews of His time are acting as unjust judges like those in the time of Asaph. Jesus is by no means calling these individuals gods, but is simply declaring what they are: unjust, inconsistent judges of Him. We do see from the Scriptures that we shall inherit eternal life (Matthew 25:31-46), but we see no indication that we will ascend to the level of God. We must always keep in mind that God is higher than we are (Isaiah 55:8-9) and that Jesus Christ is our head, our authority, and our High Priest, not our equal (Ephesians 5:23-29, Hebrews 7:26-29). We should be more than content to be able to have eternal life through fellowship with Him, for even that is far more than what we deserve. Another fundamental teaching of Joseph Smith concerning exaltation was the necessity of marriage, and not only marriage, but what was deemed “celestial marriage.” This marriage was deemed to be performed by God and necessary for entrance into the highest levels of exaltation and godhood8. The doctrine further states that this marriage will endure for an eternity if both partners live properly9. Do the Scriptures teach this? But I say to the unmarried and to widows, It is good for them if they abide even as I. But if they have not continency, let them marry: for it is better to marry than to burn. But I would have you to be free from cares. He that is unmarried is careful for the things of the Lord, how he may please the Lord: but he that is married is careful for the things of the world, how he may please his wife, and is divided. So also the woman that is unmarried and the virgin is careful for the things of the Lord, that she may be holy both in body and in spirit: but she that is married is careful for the things of the world, how she may please her husband. And this I say for your own profit; not that I may cast a snare upon you, but for that which is seemly, and that ye may attend upon the Lord without distraction. For there are eunuchs, that were so born from their mother’s womb: and there are eunuchs, that were made eunuchs by men: and there are eunuchs, that made themselves eunuchs for the kingdom of heaven’s sake. He that is able to receive it, let him receive it. How could any who make themselves “eunuchs for the kingdom of heaven’s sake” possibly enter into a “celestial marriage?” This concept is not in harmony with the Scriptures. Jesus makes it plainly evident in His refutation of the Sadducees’ teachings that marriage is not present in the resurrection. Therefore, we can see that there is no Scriptural basis for a belief in a “celestial marriage,” nor is there any Scripture to justify any precept of eternal progression. These doctrines of Joseph Smith are not in conformity with the teachings of God in the Old and New Testaments. The telestial kingdom and the “outer darkness” are for those who did not live uprightly. The telestial kingdom is for the vast majority of people19, for this kingdom is supposedly filled with the individuals who have lived according to the guidelines of the world, called the “telestial law,” freely indulging in the deeds of the flesh20. They will live outside of the presence of God, but not in hell proper21. The “outer darkness” is reserved for those deemed the “sons of perdition,” or those who live in open rebellion against God, breaking even the “telestial law22.” Do we see these “kingdoms” in the Scriptures? If so be that it is righteous thing with God to recompense affliction to them that afflict you, and to you that are afflicted rest with us, at the revelation of the Lord Jesus from heaven with the angels of his power in flaming fire, rendering vengeance to them that know not God, and to them that obey not the gospel of our Lord Jesus: who shall suffer punishment, even eternal destruction from the face of the Lord and from the glory of his might. We are told that any who do not know God and do not obey the gospel of the Lord Jesus will suffer punishment from God, yet Smith stated that many who did not obey the gospel would be in the “reflection” of His glory or away from His glory but not in eternal destruction. We do not see anywhere in the Scriptures where God shows mercy to any who do not obey His Son Jesus in the Judgment. An individual will either enter Heaven or be cast down into Hell. Smith’s four-level kingdom structure of the afterlife does not conform to the teachings of the New Testament. The LDS church believes in premillennialism, as discussed in detail in Plymouth Brethren: Premillennialism, but have a few adaptations of the belief system to conform to the LDS beliefs concerning The Book of Mormon, the priesthood, and other such things. Let us examine some of these differences now. Now we beseech you, brethren, touching the coming of our Lord Jesus Christ, and our gathering together unto him; to the end that ye be not quickly shaken from your mind, nor yet be troubled, either by spirit, or by word, or by epistle as from us, as that the day of the Lord is just at hand; let no man beguile you in any wise: for it will not be, except the falling away come first, and the man of sin be revealed, the son of perdition, he that opposeth and exalteth himself against all that is called God or that is worshipped; so that he sitteth in the temple of God, setting himself forth as God. How can Jesus be with us “always” if there was a universal apostasy? This claim does not conform to the message of Jesus. The LDS church also claims that the Book of Mormon was to be revealed in the “last days,” as prophesied by Isaiah in Isaiah 29:1-24 and the building of a temple by Ezekiel in Ezekiel 37:1-2824. Is this true? And he saith, “I am not learned”. Here Jesus says clearly that the disciples were to understand the mystery of the Kingdom of Heaven and that the Jews had hardened their hearts to this mystery. Therefore, the prophecy of Isaiah stands fulfilled in Christ Jesus. Ezekiel clearly is referring to the new covenant with Jesus Christ, of the lineage of David (see Matthew 1:1-17). Does Ezekiel mean in Ezekiel 37:27 that God will build a literal tabernacle in Jerusalem? What does Paul think in 2 Corinthians 6:16? Know ye not that ye are a temple of God, and that the Spirit of God dwelleth in you? The passage in Ezekiel has spiritual ramifications, not literal ones. We can be sure, then, that the Scriptures speak nothing of any unveiling of the Book of Mormon or the building of another temple. The LDS church also believes that the prophecy concerning the return of Elijah in Malachi 4:5-6 refers to the coming of Elijah to Joseph Smith and Oliver Cowdery in 183625. We have seen, however, in Plymouth Brethren: Malachi 4: Elijah, that John the Baptist was the fulfillment of this prophecy, as stated by Jesus Himself. Are we to trust Jesus or Joseph Smith? 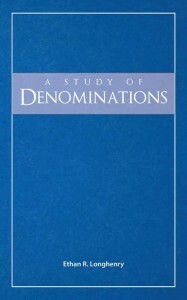 There are many other small detail changes between the premillennialism of the LDS church and the premillennialism of other denominations, especially those in the Evangelical movement, but this should suffice to demonstrate that the LDS version of premillennialism is also not in accordance with the Scriptures. Does this mean that a practice called “baptism for the dead” is legitimate? Let us examine this issue. First, it is notable to see that there is not one example in the New Testament of anyone being baptized “for” someone else. All baptisms are performed upon an individual for remission of his sin. Regardless, let us examine 1 Corinthians 15:29. We see that Paul is asking a question about “they” who baptize for the dead. Who represents this “they?” Paul is not issuing a command nor an example here, for he is not saying who is doing this work. Paul is not. The Corinthians are not. Who, then, is? We see in these passages (and also in many others, including Matthew 25:31-46, partially quoted above) that we will each individually be judged by the actions that we perform, and not by the actions that others may perform on our behalf. And inasmuch as it is appointed unto men once to die, and after this cometh judgment; so Christ also, having been once offered to bear the sins of many, shall appear a second time, apart from sin, to them that wait for him, unto salvation. The LDS may argue that Jesus preached to spirits in prison as seen in 1 Peter 3:19. Yet, as is discussed in Creeds: The Apostles’ Creed, that Peter does not actually say where the spirits were when Jesus preached to them. There is no need to speculate that Christ preached to them in prison or that Jesus will save those who have already perished without having been justified by either the Law or through the grace of God in Christ Jesus. We have been told that we will be judged on the basis of our deeds in the flesh, no more, and no less. Therefore, the Scriptures do not teach that we must baptize for the dead. Therefore, verily I say unto you, that your anointings, and your washings, and your baptisms for the dead, and your solemn assemblies, and your memorials for your sacrifices by the sons of Levi, and for your oracles in your must holy places wherein you receive conversations, and your statutes and judgments, for the beginning of the revelations and foundation of Zion, and for the glory, honor, and endowment of all her municipals, are ordained by the ordinance of my holy house, which my people are always commanded to build unto my holy name. And verily I say to you, let this house be built unto my name, that I may reveal mine ordinances therein unto my people. The inspired erection and proper use of temples is one of the great evidences of the divinity of the Lord’s work. Without revelation they can neither be built or used. Where there are temples, with the spirit of revelation resting upon those who administer therein, there the Lord’s people shall be found; where these are not, the church and kingdom and the truth of heaven are not27. These are serious statements. Are we commanded to build temples according to the New Testament? Know ye not that ye are a temple of God, and that the Spirit of God dwelleth in you? If any man destroyeth the temple of God, him shall God destroy; for the temple of God is holy, and such are ye. Or know ye not that your body is a temple of the Holy Spirit which is in you, which ye have from God? and ye are not your own; for ye were bought with a price: glorify God therefore in your body. So then ye are no more strangers and sojourners, but ye are fellow-citizens with the saints, and of the household of God, being built upon the foundation of the apostles and prophets, Christ Jesus himself being the chief corner stone; in whom each several building, fitly framed together, groweth into a holy temple in the Lord; in whom ye also are builded together for a habitation of God in the Spirit. Therefore, it is evident that in the New Testament, we do not build temples with our hands to God, for we are to be His temples. God does not dwell in a temple made with hands; and if there is no Church of Jesus Christ of Latter-Day Saints without a temple, will you follow the teachings of Joseph Smith or will you follow the God of the New Testament? 1: Some resources for the textual information are Can I Trust the Bible? and Bruce Metzger’s works The Text of the New Testament and The Canon of the New Testament. 3: Joseph Smith, “The King Follett Discourse,” 1844. 7: Popular saying among Mormons; its origin in printed form is in Improvement Era, a Mormon publication, in 1919.